John Riley puts the 100-400mm Contemporary telephoto zoom lens from Sigma to the test to find out how good its reach really is. For some applications, such as bird, wildlife and sports photography, a long lens is a must. Most ranges include economical choices up to 300mm, but really something longer is often needed. 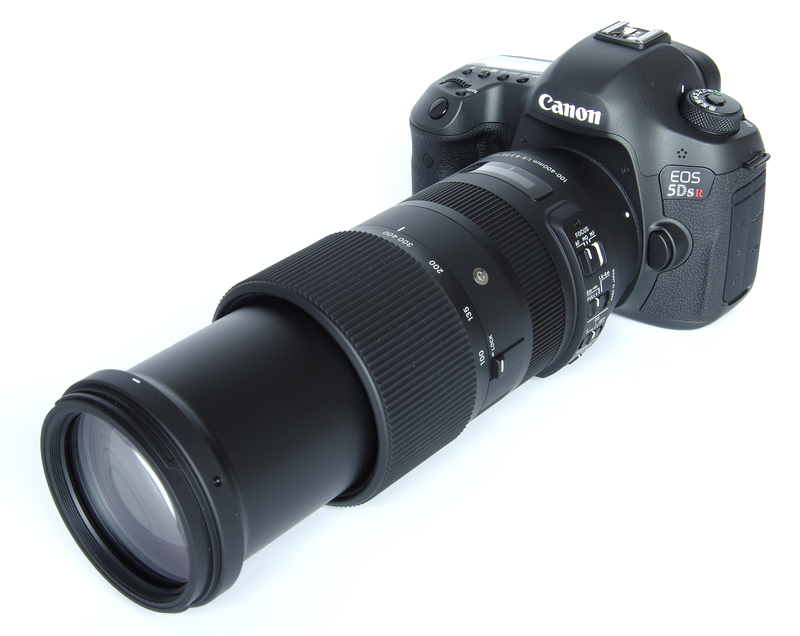 Increasing the focal length to 400mm results in much higher cost and larger, heavier lenses. 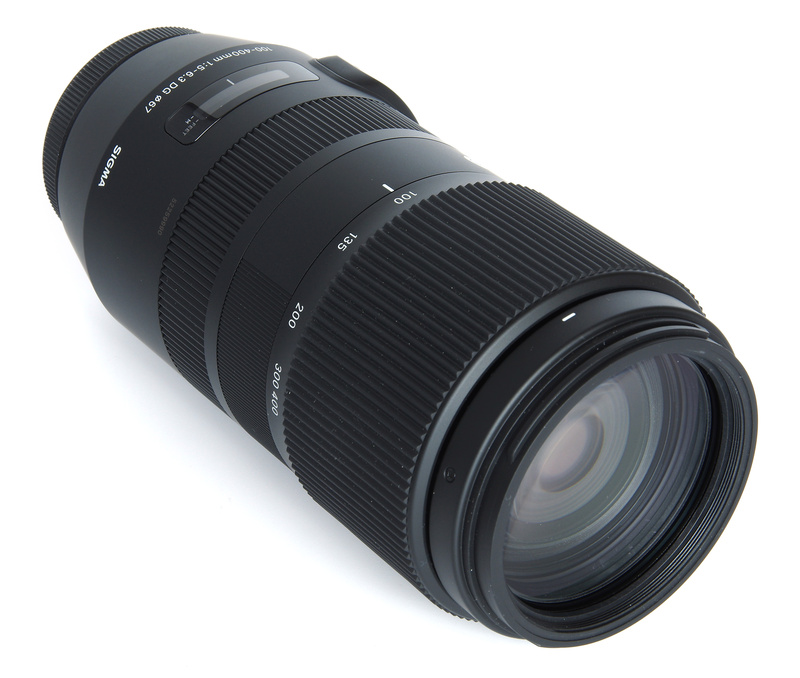 However, Sigma has now introduced this 100-400mm Contemporary zoom lens that is reasonably priced, fairly compact for a 400mm and promises a high level of performance. Coupled with the Canon EOS 5DS R for this review, let's investigate further. This is not the first time that compact versions of longer lenses have appeared, as 400mm f/5.6 lenses have been offered in past that have also meant lower cost, smaller and lighter optics. This can be no bad thing as some lenses can be very heavy indeed and wearisome to carry. 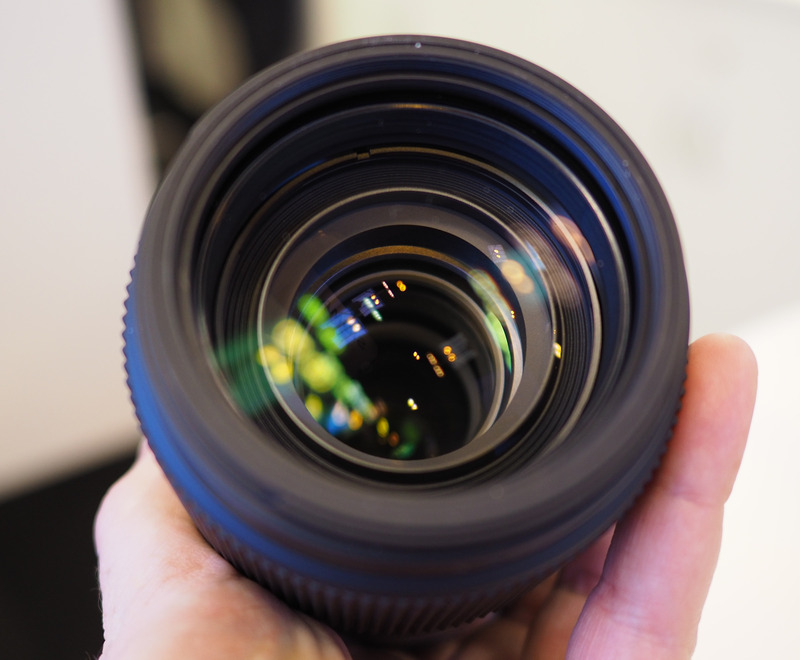 Having said that, the new Sigma lens still weighs in at a hefty 1160g. Perhaps surprisingly, there is no tripod mount on the lens and although this presented no problems on test, it is about as far as might be sensible to go relying on the camera's own tripod mount. It could be wise to use this lens with care when mounted on the lower cost camera bodies, lest mount and camera should part company over the stress. Starting at the front of the lens and working backwards, there is a bayonet mount for the (supplied) lens hood. This is a substantial, efficient hood. The usual filter thread has a diameter of 67mm, not overly large thanks to the limited maximum aperture. The wide zoom ring is solid and reasonably smooth, although not in the same league in this latter respect as more expensive lenses. The instructions suggest the lens can also be zoomed by push/pulling the lens barrel, and this does work but is a fairly heavy action. It is easier with the lens hood mounted to get a grip on. A lock is provided to secure the lens at 100mm, preventing zoom creep whilst being carried. The manual focus ring comes next and this has a firm but smooth action. There is a distance scale under a clear plastic window. Focusing is down to 1.6m (5.25 feet), giving a maximum magnification of 1:3.8. This allows good close-ups from a very comfortable distance and is ideal for flower portraits and other small objects. Finally, nearest to the camera body, there are a series of switches. The Custom switch is normally off unless we have the USB dock, in which case the lens can be programmed in various ways. The AF speed, OS (Optical Stabilisation) and Focus Limiter range can all be customised using the dock, as well as downloading firmware updates for the lens. The OS switch has choices for off and two settings, one normal and one for panning. As the OS takes 1 second to stabilise, action shots will probably benefit from having it switched off. It should also be switched off when the camera is mounted on a tripod. The Focus Limiter switch gives choices of full range, 6m to infinity and 1.6-6m as standard, although as mentioned the USB dock can be used to modify these ranges. The focus selector switch offers AF, MO (Full-time manual override of AF) and Manual. Further options are available using the USB dock. Optical construction is 21 elements in 15 groups, 4 of which are Super LD (Low Dispersion). The diaphragm has 9 rounded blades, with the aim of improving bokeh. There is no weatherproofing as such, although there is a rubber seal on the lens mount. Sigma advises keeping the lens dry, so in bad weather, some sort of rain shield will be needed. The different mounts have different features to some extent. Sigma and Canon versions are compatible with the MC-11 mount adapter, which will make them usable on Sony FE and E-mount cameras. The Nikon version has an electromagnetic diaphragm, so is only compatible with the newer camera bodies. A list of suitable Nikon bodies is supplied. Out in the field, the lens does not have any handling issues. It is very satisfactory in use, whether on a tripod or being carried. A camera sling is a good way to carry the lens without it becoming too much of a burden. Focusing is fast, and picking out details amongst foliage, for example, works extremely well. The lens is compatible with Sigma's TC-1401 (1.4x) and TC-2001 (2x) teleconverters, although only in manual focus mode. Some camera bodies that will focus at f/8 can be used with the TC-1401 in AF mode, but accuracy will suffer at longer focal lengths. First, we look at sharpness and at 100mm centrally we are off to a good start. The centre is excellent from f/5 through to f/11, very good at f/16 and, as diffraction takes its toll, still good at f/22. The edges are very good from f/5 to f/11, good at f/16 and soft at f/22. 200mm shows excellent sharpness centrally, from f/5.6 to f/11, very good at f/16 and just fair at f/22 and f/29. The edges are very good at f/5.6, excellent at f/8 and f/11, very good at f/16 and again fair at f/22 and f/29. 300mm at the centre shows excellent sharpness at f/6.3 and f/8, becoming very good at f/11 and f/16, fair at f/22 and soft at f/29. The edges are fair at f/6.3, very good from f/8 to f/16, fair at f/22 and soft at f/29. 400mm is excellent centrally at f/6.3 and f/8, very good at f/11 and f/16, fair at f/22 and soft at f/29. The edges are fair at f/6.3, good at f/8, very good at f/11, good at f/16, fair at f/22 and soft at f/29. Given the limited maximum aperture, it is useful that wide open the lens is excellent centrally over the whole focal length range. This does enable a full range of sharp images if the subject can be located in the centre of the frame. It is only at the edges and at 400mm that the optic loses it and becomes relatively soft, although saying that an aperture of f/11 will secure very even sharpness even at 400mm. CA (Chromatic Aberration) shows up as colour fringing, and in some circumstances can be clearly seen at the edges. Centrally, CA is extremely well controlled, almost banished in fact. The edges are also very impressive for a zoom lens of this range. Edge fringing will be visible in some shots, but it is far better corrected than most lenses of this type. Any residual fringing can always be tackled in software. Distortion is also impressively handled. As expected for a telephoto zoom, we have some pincushion distortion throughout. This measures +0.87% at 100mm, +1.72% at 200mm, +1.84% at 300mm and +1.82% at 400mm. This is a better result than many more expensive lenses. Distortion can be removed in software if desired. The provided lens hood is efficient, as no doubt are the lens coatings, as we have no signs of flare. For all normal situations, the lens is flare free. Bokeh is excellent throughout and with the right subject can look superb. This is obviously aided by the rounded diaphragm blades and the general nature of a long telephoto lens. It means we can enjoy some very smooth out of focus areas that will enhance the overall appearance of images. The OS system is always a welcome feature. The 1-second delay to stabilisation does mean that bird, wildlife and sports photography may well benefit from it being switched off, so as not to miss the “decisive moment”. When in use, depending on the photographer and the circumstances, at least a three stop advantage can be expected. The Sigma 100-400mm f/5-6.3 DG OS HSM Contemporary lens costs £799. Looking at the alternative telephoto zooms that reach 400mm, we have some very expensive choices. Firstly, Canon offers the EF 100-400mm f/4.5-5.6 L IS II USM (£1875) and the EF 200-400mm f/4 L IS USM (£10,999). Nikon has the AF-S Nikkor 200-500mm f/5.6E ED VR (£1164), the AF-S Nikkor 80-400mm f/4-5.6 G ED VR (£2069) and the AF-S Nikkor 200-400mm f/4 G VRII ED (£6109). Sony A mount users are served by the Sony 70-400mm f/4.5-5.6 G SSM II (£1829) and the FE/E-mount users by the Sony FE 100-400mm f/4.5-5.6 OSS G Master (£2499). Pentax has the HD Pentax-D FA 150-450mm f/4.5-5.6 ED DC AW priced at £1699. Sigma has one other offering, the 200-500mm f/2.8 EX DG at £14,999. Tamron also has the 150-600mm f/5-6.3 SP Di VC USD priced at £754. Against this generally expensive backdrop, the new Sigma looks excellent value. For more options from Sigma, have a look at our top 19 best Sigma lenses article. We also have a top 10 best super telephoto prime lens round-up should you be in the market for a prime lens. 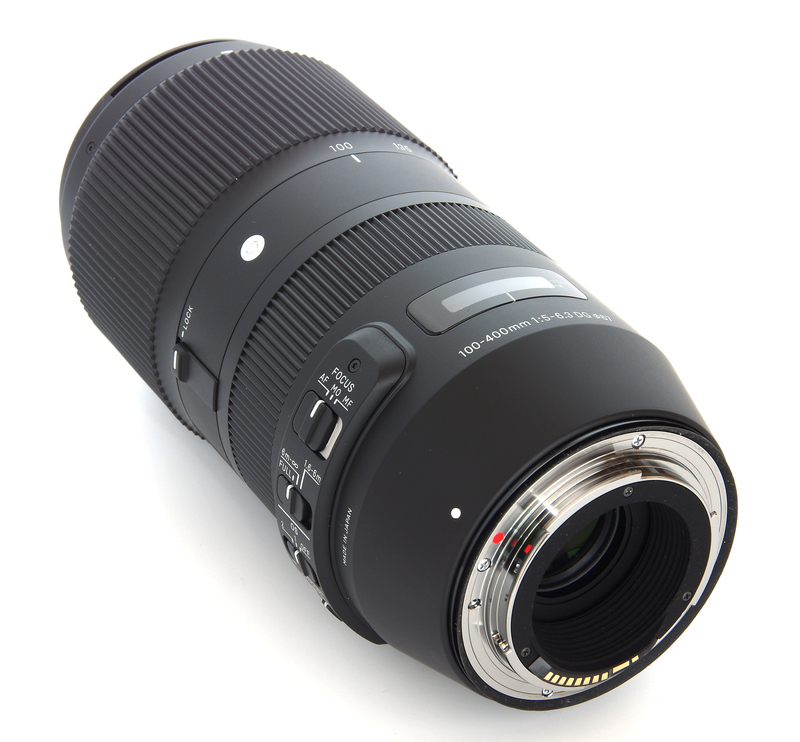 The Sigma AF 100-400mm F/5-6.3 DG OS HSM gives excellent results, and an excellent price in a compact package. Fine read again. Infos gathered here in review nicely conform to findings from other sources. This Sigma lens will be a winner and also a good seller. I have only one remark here, why this lens wasn't tested with an enthusiast level APS-C sensor camera? As I presume majority of buyers will come mainly form a crop sensor area. Nikon D7500, or Canon 80D or even 7D MkII would be fine bodies to pair this lens with. Fine job done Sigma! Fine read again. Infos gathered here in review nicely conform to findings from other sources. This Sigma lens will be a winner and also a good seller. I have only one remark here, why this lens wasn't tested with an enthusiast level APS-C sensor camera? As I presume majority of buyers will come mainly form a crop sensor area. Nikon D7500, or Canon 80D or even 7D MkII would be fine bodies to pair this lens with. 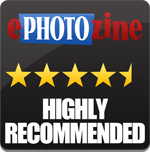 Thanks for a well written and detailed review, which confirms my experience, having used the lens for a couple of weeks. I'm glad that you pointed out the lack of a tripod collar because that aspect is proving to be a bit of a drawback, particularly when mounted on a Sony body with the Sigma MC-11 adapter. Clamping this setup to a tripod via the camera's mount just doesn't seem like a very good idea because of the strain and wobble involved. However, [link=https://www.kirkphoto.com/lens-mounting.html/]Kirk Enterprise Solutions[/link] are planning to offer an after-market mount for tripod use, perhaps in a couple of months time. PS your photo of a White Collared Dove is actually a Common wood pigeon [i]Columba palumbus[/i]! Thanks for a well written and detailed review, which confirms my experience, having used the lens for a couple of weeks. I'm glad that you pointed out the lack of a tripod collar because that aspect is proving to be a bit of a drawback, particularly when mounted on a Sony body with the Sigma MC-11 adapter. Clamping this setup to a tripod via the camera's mount just doesn't seem like a very good idea because of the strain and wobble involved. However, Kirk Enterprise Solutions are planning to offer an after-market mount for tripod use, perhaps in a couple of months time. PS your photo of a White Collared Dove is actually a Common wood pigeon Columba palumbus! Thanks for the correction re the wood pigeon!